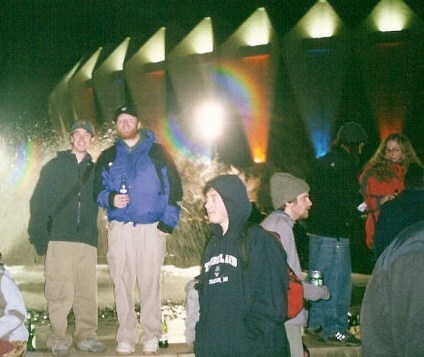 We join others in mourning the loss of dear friend and avid Phish fan John D. Oberschmidt (aka BlizzardGarcia), and present these words and pictures, provided by friends and family:. J ohn David Oberschmidt of Saginaw passed away unexpectedly on Friday, May 21, 2010. He was 30 years old, born on March 10, 1980 in Saginaw. He was a Saginaw Heritage High School Graduate in 1998 and then furthered his education at Northern Michigan University with a Bachelor of Arts Degree in Business Administration. He enjoyed his entrepreneurship as a co-owner of Celebration Hall in Saginaw and general manager of West Bay Storage in Bay City. John was a great lover of sports. He was on the golf, tennis and ski teams at Heritage High School, and also competed for the Central United States Ski Association Ski Team. John’s life was an adventure as he traveled throughout the United States and Europe. He enjoyed all sorts of music and was an avid lover of Phish. 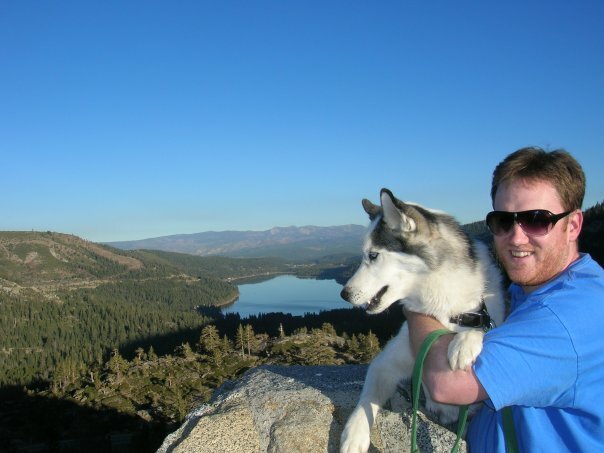 John’s greatest joy was his family, especially his mother, father, sister, step-dad and his dog, Blizzard (pictured at right, with John). He loved a good conversation and could easily hold his own about most any topic. John had a heart of gold, was a loyal friend and always championed the underdog. He possessed a quick wit and an amazing sense of humor. John did indeed take the road less traveled and it made all the difference. J ohn is survived by his father, David Oberschmidt; mother and step-father, Jeanie (Robert) Quinn, all of Saginaw; sister, Heidi (Scott) Gates of Alhambra, CA; nephew, Oliver Alexander Gates; niece, Vivian Mackenzie Gates; step-brother, Ryan Quinn; step-sister, Kelly (Jim) Hansinger; and his step-nephew, Jackson Hansinger; and his Godfather and Godmother: Dr. Malcom Pike and Janis McMasters. He is preceded in death by his grandparents: John Chester and Eileen Brunette and William and Brigetta Oberschmidt. The funeral program included the words to Robert Frost’s “The Road Less Travelled” on the inside and the lyrics to Phish’s “All of These Dreams” on the back. (The latter debuted 1/3/03 at Hampton Colliseum; John is pictured there with best friend Don, at below right). Donations may be made via Paypal (using Paypal directly, or a credit card through a Paypal account) via the link below; or by sending a check, payable to the Mockingbird Foundation, c/o The Godards, 6948 Luther Circle, Moorpark, CA 93021. The Mockingbird Foundation is an all-volunteer nonprofit (501c3) founded by Phish fans to support music education for children through small strategic grants to scores of special programs. The Foundation is all-volunteer – with no paid staff, office, or honoraria, and administrative costs below 1% – and has been founded and managed entirely by Phish fans, including a geographically dispersed board of directors.